The modern field of physical therapy has become a vital component of the American healthcare system. This is especially true in an era where an increasing number of elderly patients require effective physical therapy in order to be able to continue to live an active and fulfilling life. Due to Arizona’s growing number of elderly citizens, the state’s healthcare sector has a strong and growing need for qualified physical therapist assistants. Physical therapy assistants are medical professionals who work with physicians, physical therapists and other healthcare professionals in order to provide effective physical therapy care to their patients. For the physical therapy assistant, this can include helping with the planning, implementation, and evaluation of a course of physical therapy treatment. The physical therapy assistant will assist the physician and physical therapist in evaluating the patient’s capabilities and needs. This information will be used to help develop an effective physical therapy regimen. The assistant will help instruct the patient in how to carry out the physical therapy. This will also include instructing the patient in how to use any equipment that is required for the therapy session. The physical therapist may assist the patient in learning how to effectively and safely use mobility enhancement devices, such as walkers and canes. The assistant will also work with their patient’s caregivers and family members to train them in how best to assist the patient. In many cases, the patient will continue to receive physical therapy sessions even after being discharged from the hospital. Many physical therapy assistants will provide physical therapy sessions on an in-home basis. In addition, they will provide reports for the supervising therapist on the nature of the patient’s progress. Arizona requires that all physical therapist assistants be licensed before they will be allowed to practice in the state. This includes those individuals who may hold a license in another state and are moving to Arizona. The state requires that individuals wishing to become a licensed physical therapist complete an accredited program of study, pass the national physical therapy exam and complete a state jurisprudence exam before obtaining their license. Individuals who are already licensed in another state may seek to obtain a license by endorsement. Most physical therapy assistant programs confer an associate’s degree upon the successful completion of the program. In general, a full-time student will take about two years to complete the program. These programs include a combination of classroom instruction and hands-on experience in a clinical setting under the supervision of professional therapists. Many physical therapy programs also offer part-time and distance learning options for those students who cannot attend classes on a traditional schedule. This is especially useful for students who are currently working at another job or who have family care obligations. In many cases, part-time classes can be scheduled on the weekends or evenings in order to allow individuals with restricted schedules to attend and complete the program at their own pace. All physical therapy programs in Arizona must be accredited by the Commission on Accreditation in Physical Therapy Education (CAPTE). The CAPTE ensures that accredited physical therapy programs provide a high-quality education that effectively prepares their students for a career in physical therapy. 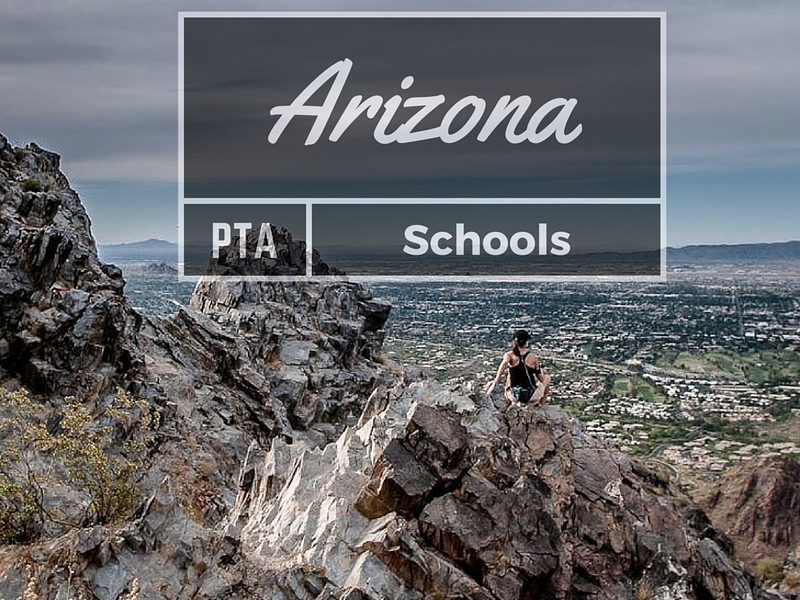 It is important that all students ensure that their school is currently in good standing with the CAPTE, as Arizona will not accept non-accredited programs. The National Physical Therapy Examination (NPTE) is the national qualifying examination for all individuals who wish to become licensed physical therapy assistants. The NPTE is administered by the Federation of State Boards of Physical Therapy and is regularly updated by healthcare professionals in order to provide an accurate evaluation of the candidate’s skills. While the candidate can retake the NPTE, they must pay the application fee for every test they take. For this reason, it is wise for the student to only take the NPTE when they are confident that they are prepared to pass it. Finally, Arizona permits students who have not yet completed their degree program to take the NPTE. This can be especially useful for students whose graduation dates may be inconveniently timed in relationship to available NPTE test sessions. The Arizona jurisprudence examination (AZLAW) is an exam designed to ensure that all candidates fully understand the physical therapist assistant’s responsibilities and rights under Arizona law. It is administered by the Arizona State Board of Physical Therapy, and must be successfully completed before the candidate can be licensed by the Board. However, it is important to note that the candidate must still pass the AZLAW, and cannot actually practice in Arizona until they have obtained an Arizona physical therapist assistant’s license, regardless of their status in other states. Currently, the field of physical therapy is expanding at a rapid pace. The Bureau of Labor Statistics estimates that employment levels for physical therapy assistants will increase by 45 percent between 2010 and 2020. This, combined with attrition due to the retirement of older physical therapists, will ensure that qualified professionals will continue to enjoy extremely promising employment options. Becoming a physical therapist assistant allows an individual to enter a field that benefits from promising salary and professional opportunities. In addition, as a specialty that is becoming increasingly important to America’s health care system, physical therapist assistants are highly respected by their fellow healthcare professionals. Whether as the first career in an individual’s life, or as part of a decision to transition to a more rewarding field, becoming a physical therapy assistant can be a very rewarding professional and personal decision.